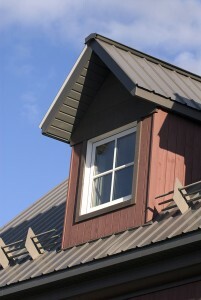 Metal roofing is known to be one of the most sustainable options on the market today. Because metal shingles are 100% recyclable, and rarely need to be replaced, a metal roof is also an incredibly environmentally friendly solution. Metal shingles are composed of galvanized steel, copper, zinc or aluminum, and are resistant to rust and rot. In addition, they offer superior weather protection, strong enough to withstand high winds and other extreme weather conditions. With a metal roof, there is no need to fear the long, temperamental Canadian winters; they are highly resistant to rain, snow, ice, hail, sleet, frost, and anything else Mother Nature throws at us. Opting for metal roofing is a decision you won’t soon regret. Although metal shingles are more expensive than asphalt shingles, they are an excellent long-term investment. The lifespan of a metal roof is much longer than that of an asphalt roof, and the warranties offered are often extremely comprehensive. Metal roofing is stronger, but also much lighter than other roofing materials. It can therefore adapt to any slope, and can give free rein to your imagination if you decide to opt for original or complex shapes. Beyond their performance and durability, metal roofs give can help your home achieve a rustic and elegant look with a wide variety of colors and styles. Some materials are even designed to mimic finished copper, terracotta, or cedar. 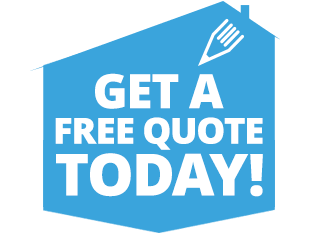 To find out more about metal roofing, contact the roofing experts at Toitures DF today!